Our friendly staff and extensive line of products and services will satisfy your daily requests. If you visit our convenience store, you will find a selection of snacks and drinks to get your day going. Our fuel pumps are located immediately along the highway for a fast and easy fill up suitable to vehicles of all sizes including large trucks. We additionally carry Feed, Hardware, Farm and Ranching Supply, Tack and Animal Care products, Hunting/Fishing Licenses, and much more. Please browse our site for information about our products in services. 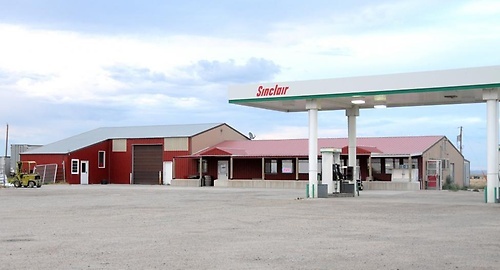 Please visit our location in Farson, Wyoming for detailed information on products, quotes and more. We are open EVERY DAY for your convenience.